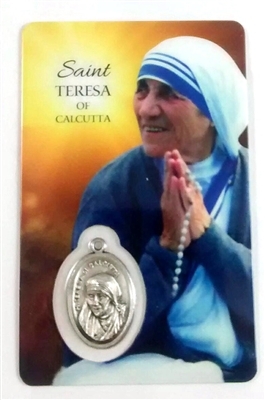 Holy card of Saint Teresa of Calcutta with her medal. We ask the little Mother, St. Teresa of Calcutta whose enormous Faith and love for living the Gospel, to help us open the doors of peace and Mercy in our homes and our nations, to offer those seeking refuge, hospitality and love. 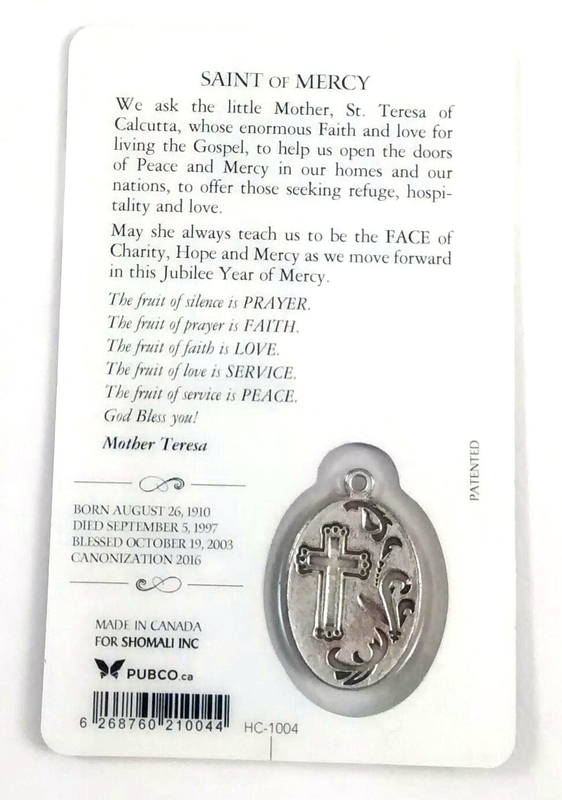 May she always teach us to be the FACE of Charity, Hope, and Mercy as we move forward in this Jubilee Year of Mercy. The fruit of silence is PRAYER. The fruit of prayer is FAITH. The fruit of faith is LOVE. The Fruit of love is SERVICE. The fruit of service is PEACE. God Bless you! Mother Teresa.